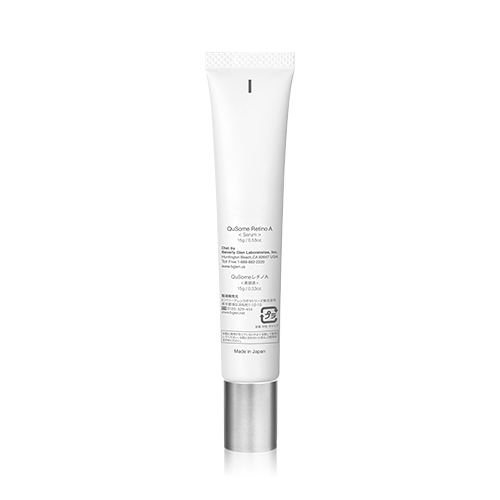 Targets Skin Dehydration and Smoothes Out Deeper Facial Lines for Younger-Looking Skin. Rejuvenate your skin and reduce the visible effects of aging. Over time, skin can appear dull and parched, not only from age, but from long-term exposure to UV rays. Smooth out deep lines and slow skin aging with QuSome Retino A Anti-Wrinkle Serum, which contains powerful ingredients to support skin health. Vitamin A is delivered via microencapsulation combined with b.glen's exclusive QuSome® skin-penetrating technology, enabling it to transport deep beneath the surface, reaching the areas most in need of treatment. Permeating the deepest layers of skin, this formula has a rich texture packed with vital ingredients for renewing the look of aging skin and restoring its luster. It quickly melts into skin, and continues to work on treating areas of concern. With continued use, skin will look refreshed, rejuvenated and more youthful. Encapsulated pure retinol. Quickly softens skin on contact and begins addressing deep lines in the skin. A hybrid combination in which Vitamin E is added to retinoic acid to reduce irritation to the skin. Gently works on strengthening from within, plumping and rejuvenating skin. Vitamin A derivative component — high in stability and low in irritation. Thoroughly treats the stratum corneum and sustainably combats signs of aging. 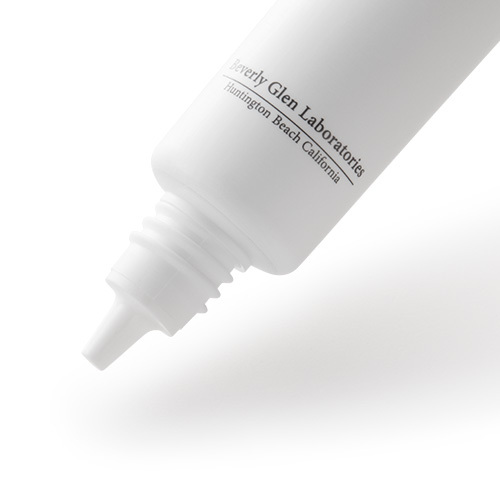 A newly discovered peptide, it helps maintain existing firmness and elasticity in skin. A dual function moisturizing agent and emollient, compatible with all skin types, that provides hydration while keeping skin soft and supple. A botanical, native to Africa. with ultra-moisturizing and protective properties. It acts as a barrier to lock in moisture to provide long-lasting hydration. 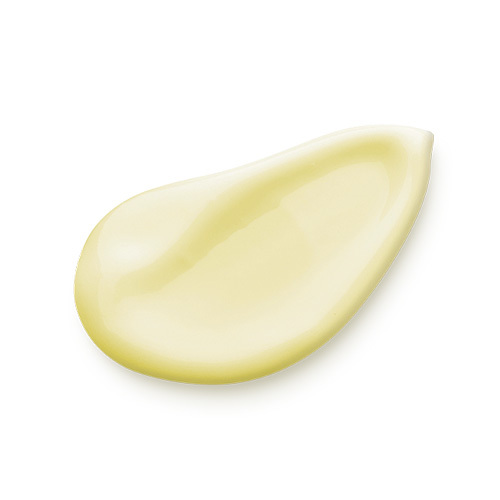 After cleansing and toning your face, place a small amount of QuSome Retino A in the palm of your hand. Softly apply to desired areas such as forehead between eyebrows or entire face. Gently massage QuSome Retino A into deep lines. Place palms of hands onto the massaged areas to let the warmth of your hand help QuSome Retino A blend into skin. ※For best results, use morning and evening. ※If you have dry and/or sensitive skin, please test a small amount on your skin first. Q1 Is it safe to use during the day? Yes, you can use it during the day. After that, please be sure to use with sunscreen. Q2 Can I use it on the spot directly? It's also possible to use only on the spot where wrinkles appear. Q3 Can it be used for wrinkles on the neck and hands? Yes. It can be used. Also, since ultraviolet light accelerates the aging of the skin, please do not forget applying sunscreen during the day. Q4 Can it also prevent wrinkles? Yes. When used continuously, it will maintain firmness and tone in the skin. Q5 Can it be used for wrinkles on the lips? Please do not use on lips because the lips have a mucous membrane that functions as a barrier. Q6 What effect can QuSome Retino A have on skin concerns in addition to wrinkles? You can expect an improved skin turnover and water retention. Q7 How is it different from QuSome Moisture Rich Cream? Since two kinds of Vitamin A are incorporated into QuSome Retino A, it exerts the effect quickly and precisely. Please consider our QuSome Moisture Rich Cream as an aging fighting skin care cream that creates an overall sound foundation for the skin. Q8 If I continue for a long time will it be a burden for the skin? Although it is a cream that is prescribed not to be a burden on the skin, please use while closely observing the skin's condition. Q9 Is it safe to use while pregnant? Yes, it can be used while pregnant. Generally, it has been said sensitivity might change while pregnant and/or lactating due hormonal changes. If you are concerned about using new skincare product, we recommend consulting with a doctor in advance. Q10 Is it possible to combine with prescription or commercially available retinol? Consult your doctor regarding combining use as it depends on the concentration of retinol and your skin's condition. Q11 When should I apply it when using it with an all-in-one gel? 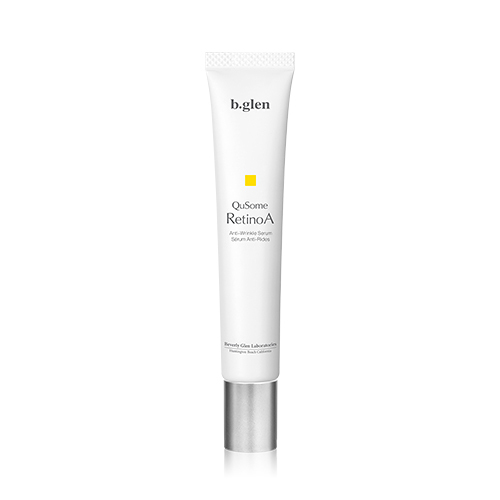 Since all-in-one gels can also serve as a facial cleanser, we recommend using QuSome Retino A after using all-in-one gel. Q12 Is it okay to use it after using a skin peeling cream or mask? When using cosmetics or skincare products that offer peeling action, the skin will become sensitive during use. Therefore, we suggest trying in a small amount while watching the condition carefully, after consulting with a doctor or skincare specialist. Q13 Can I use QuSome Retino A and QuSome White Cream 1.9 together? When used in combination, we recommend applying each one separately, one in the morning and the other at night, to avoid straining the skin. We recommend applying QuSome White Cream 1.9 only at night. If using QuSome Retino A, please apply it in the morning and please use QuSome White Cream 1.9 at night. Also, although there are rare occurrences of people experiencing irritation, we recommend using in small amounts while observing any changes in the skin's condition. Q14 Is it safe to use on sensitive skin? Depending on the quality of the skin, some people may feel irritation when first starting to use. If irritation occurs, we suggest using less frequently and in fewer amounts. And if irritation does not stop, we recommend halting use and consulting a doctor. Advanced anti-aging serum formulated with Vitamin A that targets facial lines and wrinkles. Age fighting beauty serum that contains 3 types of Vitamin A. By encapsulating delicate Vitamin A within our exclusive QuSome® skin-penetrating technology, it is able to penetrate into the skin. The formula works on improving skin strength from the inside out, addressing deep forehead and "frown" lines between the eyebrows.